We emailed almost 3,000 people and posted an invitation on our Facebook page asking people to take part in our 2018 Republican Primary poll. We had received 287 responses by May 10th. 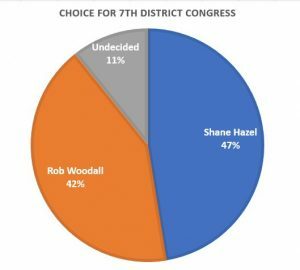 Not every person voted in each race, and we took out responses for 7th District Congress from those who told us they didn't live in the 7th District. The results are below. Make up all the standard disclaimers and assume that they all apply – the most significant being that most of our respondents were Republican and Tea Party leaning folks. 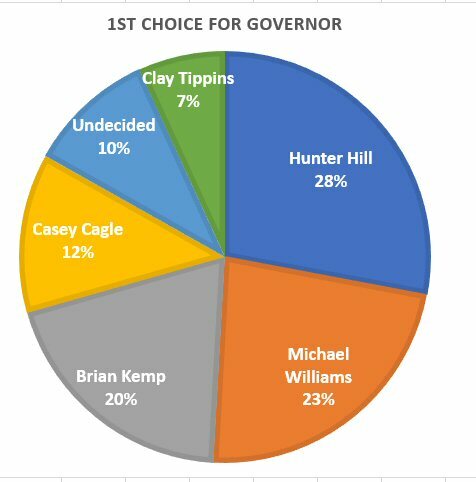 We asked for a first and second choice for governor because there will certainly be a runoff. As with anything on the United Tea Party of Georgia website, feel free to use any of this information with or without credit in any way you like. 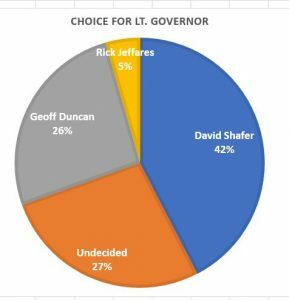 Question 1 – Who is your 1st choice for Governor? 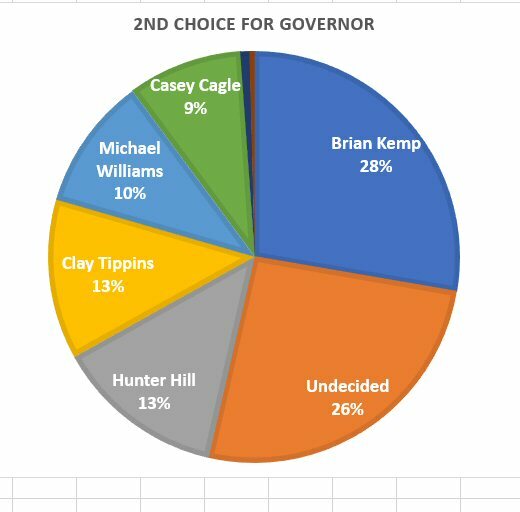 Question 2 – Who is your 2nd choice for Governor? Question 3 – Who is your choice for Lt. Governor? 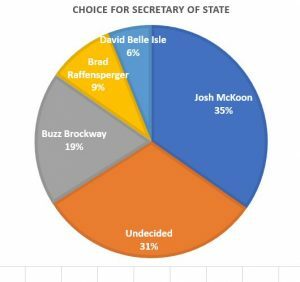 Question 4 – Who is your choice for Secretary of State?